Former U.S. Labor Secretary Hilda Solis speaks during a news conference to announce a partnership between Facebook, the National Association of Colleges and Employers, DirectEmployers Association and the National Association of State Workforce Agencies aimed at connecting Americans with jobs October 20, 2011 in Washington, DC. Solis has been endorsed by Gloria Molina for her LA County Supervisor position. 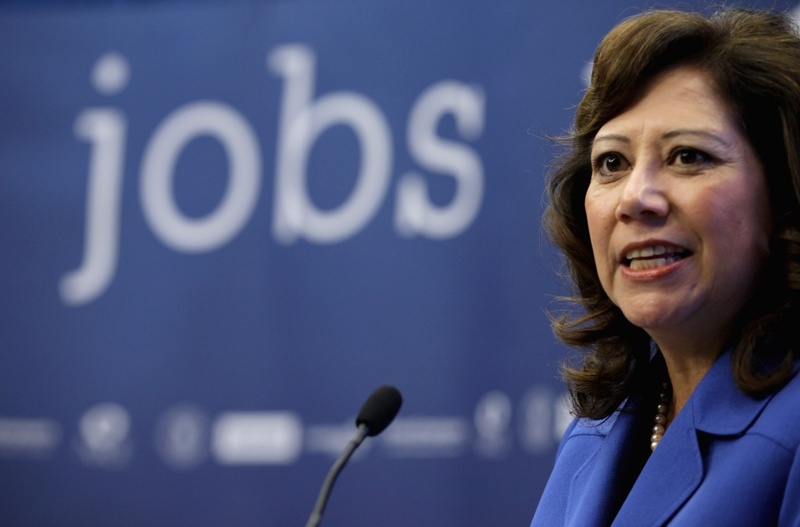 Los Angeles County Supervisor Gloria Molina Thursday endorsed former US Labor Secretary Hilda Solis to be her successor. The announcement was made outside a foster care center for kids awaiting placement, the LA Times reported. Molina is termed out at the end of the year after more than two decades on the seat. On her Facebook page, she said she chose Solis because "she understands the importance of high-quality constituent services, especially for residents of unincorporated areas who rely on their county supervisor to meet their local needs." Solis and Molina met when Solis was a White House intern under President Carter and Molina was working for the administration, according to the LA Times. 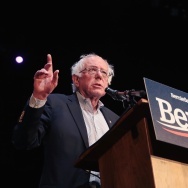 Solis noted Molina was a mentor who supported each of her political campaigns, beginning with a run for a community college board seat in the San Gabriel Valley. Also running for the 1st District office spot: El Monte Councilman Juventino ‘J’ Gomez, and school police officer April Saucedo Hood. The LA County 1st district covers the downtown area and the eastern areas of the county.